A little while ago I read a book called The Machine That Changed the World, written in 1990 as a summary of a 5 year $5m MIT research project into the global automobile market. I discovered it while looking for the best description of the most sophisticated, long-term-successful manufacturing organisation & method (of complex technology) the world has ever produced, and I am tempted to believe that this book describes it. In fact I was so inspired I ended up writing my own notes and sharing them with some friends who are experts in manufacturing in order to understand what has happened since 1990. These additional insights are added at the bottom of the notes below. The “machine” in question is, in a word: “Toyota”, and it describes the emergence of their “lean manufacturing” model and its subsequent proliferation to the other Japanese car manufacturers and during the 1980s more broadly to many plants in the US as well. But the story is a lot bigger than that one word, than the car industry alone, and made me realise that I really had no idea how much mass manufacturing had evolved since its invention by Henry Ford, even before Toyota, and Japan’s other “assemblers” revolutionised it from the 50’s through to the 90s. Revolutionised is not in any way an exaggeration it seems. It also made me think a lot about the potential for coupling machines with the sort of creative problem solving that still only teams of humans can deliver. We are now in the era of AI, but actually the lean manufacturing lesson informs us that we are really in the era of “humans x AI”. The book is structured around this dichotomy, with initially Ford, and then GM representing the most successful mass production strategies in sequence, and Toyota representing the lean model, which has since been copied by pretty much every brand that is not in the process of going extinct, starting with the Japanese brands (Honda, Mazda…) and interestingly Ford on the US side, and GM were trying hard even by the late 80’s. The Koreans have been trying to copy “the Toyota way” quite blatantly since this book was written as well, so it is still going on, although as the Japanese makers have had to globalise their manufacturing operations for various reasons the purity of their model has perhaps been diluted when looked at as a global entity, although all retain manufacturing and assembly plants in Japan. 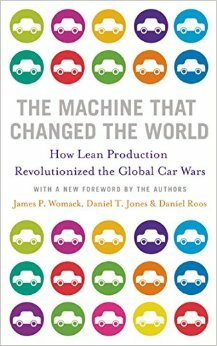 At the point of writing the book, the lean manufacturers seemed to be unstoppable, and their rivals were scrabbling to catch up by studying and adopting the same management techniques as Toyota and others. Since then Toyota has become the largest car company in the world, the mimickers like Ford have done pretty well, the hard-to-adapters like GM have struggled, and Toyota has achieved this at the same time as having to become a more multi-national, decentralised machine, which many thought it could never become. So the intervening years seem to verify the message of the book. They have certainly not disproved its premises. How transferable are the lessons from this book? Perhaps more than anything I was struck by the conceptual clarity of the ideas upon which lean production was founded. It’s two inventors at Toyota, Sakichi Toyoda and Taiichi Ohno should be household names the world over, ranked alongside Ford and Edison. Perhaps though the nature of their ideas for organising people and resources put them nearer Marx, Engels or even Keynes. For sure the ideas emerged from the context their inventors found themselves in, specifically post war Japan, with no capital to deploy, a tiny domestic market, very limited resources, employee-biased labour laws… but then all big thinkers and their ideas are products of their time and place so this should not diminish their achievements. Mass manufacturing replaced the craft industries, starting with bespoke car production, but ultimately pretty much all craft manufacturing, so that craftsmanship was sidelined to small market niches, usually exclusive and expensive. It did this by turning the production process into one big machine, within which tasks were atomised and delineated to such an extent that most of the humans involved in it, everyone in fact except the designers, engineers and business management, were given one simple repetitive task to perform that at most took 5mins to learn and did not require to engage their brains while on the job. What this machine did really well, as still does where conditions suit it, is make one thing at scale, taking advantages of economies of scale to drive down costs. This is exactly what Ford wanted to do with the Model T, and succeeded, and only failed in the end because ultimately the market’s needs fragmented and began to evolve faster than Ford’s big manufacturing machine could adapt to, and therein lies a key weakness of this model. Knowledge is embodied mainly in the hardware of the manufacturing machine itself, not the people running it. This hardware is expensive, and optimised for scale (e.g. stamping out steel plates at 50 per minute) but cannot be optimised for flexibility (stamping different sized sheets, or speed to switch to an alternative shape). Consequently, when he changed car models, Ford would have to throw out half his machinery too. This still made economic sense throughout the 1920’s, but by the mid 1930s GM had got their more flexible “shared platforms, different models” up and running and it was starting to cost Ford dear. GM took over the gauntlet through the business genius of a guy called Sloane, who created 5 consumer facing brands (Lincoln, Chevrolet etc) that shared most of the same platforms and parts with each other, and hence enjoyed the benefits of scale as Ford’s model, actually more so, but by having 5 distinct brands, was able to meet the increasing diverse needs of the vast majority of Americans, and via overseas subsidiaries like Opel and Vauxhall, a lot of Europe too. So as a model it had more plurality and options, but was still essentially driven by the same manufacturing machine, and the role of humans as unthinking cogs in the machine remained the same as in Ford’s original conception. Because of this same “move the metal” ethos, and because the employees, if they are thinking anything, it is to keep things moving to meet today’s production quota, mistakes in assembly, flawed parts get built into products, and layers of assembly bury them, until they are incredibly hard to discover or put right. Hence the MP machine is prone to quality issues and is actually not very efficient at all. Because of the mass production machine’s tendency to output faulty products, all of the big car plants had testing facilities and massive product recovery areas devoted to discovering the root cause of problems and putting them right, often failing or at best patching a problem. Hence reliability issues were always present in the products shipped to consumers. Throughout the era of mass production dominance, perhaps from the 30s to the 90s, and perhaps still today with some manufacturers, quality equated to the investment into the recovery yards: then rigour that went into testing and the extent of the artisanal efforts to fix problems. So for instance the high end German brands reputations right through tothe 90s and perhaps still today to some extent are built on the “craftsman”-like skills of fixing flaws in cars that came off a production and assembly system essentially no more sophisticated than that of Henry Ford’s. Again, this is not an efficient model and only works because of economies of scale that are built up, often state supported. Ford’s flagship plant in Detroit became a Mecca for aspiring car manufacturers, and Ford was commendably open about showing people round. Most visitors were awestruck and went home with the intention to emulate it’s scale and automation as best they could. Perhaps because they were quite late to the party, visiting in the late 40s and perhaps because they understood that emulation was not viable being from a country as weak as Japan was after the war, (any small businesses likely to get gobbled up by Uncle Sam’s corporate giants), Toyoda and Ohno went away thinking “there is waste in that system, waste we cannot afford” and hence they had important clues for how their model needed to be different. Smaller batches work out cheaper than big ones. Much of Ford and GMs success had come through developing massive machines to make parts in massive batches, e.g. steel panel presses, with very high throughput. But embodying so much value and knowledge into these machines compromises their ability to change what is produced, and errors in the parts were multiplied faster. By focusing on being able to CHANGE the output much easier, and making “Just enough” sized batches, the overall efficiency could be greatly improved. The mass production “machine” demotivated its workers, so they had no stake in catching errors and improving quality, only in meeting quota day by day. But surely making it so easy to stop would lower production since it would be stopping all the time? Yes, this is true, at the start, but over time “the machine” learns how not to have to stop all the time. How does it learn? People is how. Instead of the mental paradigm being to push units off the end of the line, it switches to tracing the source of errors UP the line. In the mass production model the people are only there because a machine has not been invented yet that could do their job. (Still the case for many manufacturing jobs, but not for much longer!). They are not required to think. – they have to learn to spot problems, even tiny ones, say with a part that does not quite fit snugly. – they have to learn to snoop out the origin of problems. Ohno and Toyoda came up with the “5 why’s” practice back in the 50s: basically ask why at least 5 times in rooting out the cause of a problem to REALLY make sure you have got to the very bottom of it, often requiring a trip to the suppliers. Nothing moves until you do. This is the one that everyone knows, to the extent that it has almost become a cliche. It is thesame as 2) really, only applied to the system as a whole, and focused on improvements not just solving problems, e.g. in the supply chain, distribution, marketing, everything. In contrast to the various macro-areas of the system, especially the supply chain, acting as self-serving agents, with the ‘invisible hand’ supposedly assuring efficient interaction and transaction, all parties in the system are co-invested in its continuous improvement, e.g. in terms of minimising errors, reducing costs, increasing flexibility, sharing financial risk. There is a lot else to say, but I believe that these two ideas are the fundamental ones that all the other beneficial effects spring from. … the effects below emerge as behaviours of the machine. In this way I think the overall system is actually closer to an organism, or organic system, than to a “machine”. Or perhaps the lean model is the point in history at which complex industrial machines become more fundamentally “alive”. Toyota as a company employs fewer people, has smaller plants, carries less inventory, owns less manufacturing equipment per unit shipped than any car company, and that’s why it is themost successful. Ford first and later GM gained unprecedented scale by pushing the balance of “make or buy” way over to the make yourself extreme than anyone had attempted before, and that is what grew the car industry into the world’s biggest, because it drove economies of scale, but also created vast “muda”. In contrast Toyota strikes the balance towards the “buy” extreme, but in a very different supplier < > assembler dynamic that pushes the same problem-chasing mentality, and shared responsibility for minimising waste, kaizen, and producing cars to a target product price, called “value engineering”, that lean manufacturers employ internally. So Toyota sits atop an ecosystem of co-vested, usually co-owned (e.g. Toyota has a 10 / 15% ownership of Denso, Denso owns a few % of Toyota) companies that are free to work with other assemblers, and with which cost-reduction margin gains are shared, hence allowing the partner suppliers to invest in improving their own manufacturing operation (people, machines, analytics etc). This kind of designed mutuality is not unique to car manufacturing in Japan, and something similar can be seen in the zaibatsu structures as well. The machine’s humans learn to react with speed and agility to solve problems, but over time as they get tuned into the machines characteristics they learn to anticipate its needs and issues, and act “just before” a problem occurs. This includes the people that work at the parts suppliers as well, since they are “wired into” the machine very tightly also. Judgement is decentralised, shared between everyone involved, so that everyone’s judgement can effect everyone else. This pressure has the effect of making people think more not less. If a supplier delivers a batch of faulty parts, the whole machine will stop, the 5-why’s process exposes the cause, and everyone in the whole ecosystem of supply and assembly will know what happened. This has the effect of creating transparent accountability and extending the mental awareness of what constitutes “the machine” among operators throughout. More pressure on everyone to not screw up – yes, but more meaningful and rewarding when the whole process sings along with zero flaws. In the mass manufacturing model where this sort of transparency does not exist units are assembled and the problems are buried under layers of assembly and hence hard to assign accountability. So across and up and down the organically structured interrelationships lean manufacturing creates shared responsibility. It’s accountability. Same goes if a work group high up on the assembly line keeps making assembly errors. It goes for everything. Arguably this is “stressful” but most research has shown that workers prefer to be part of this psychological paradigm than one in which no one cares about quality, and an individual is treated as a yet-to-be-automated disposable non-asset. The more positive flip side of this is the fact that anyone from any level or any area is empowered to, actually required to suggest improvements to their part of the system or in fact the whole system ensuring it is always progressing and evolving. This is not just about the removal of errors. The essence of kaizen is to find innovative ways to evolve the machine over time. Not innovation to reinvent the whole machine, but smart “hacks” that increase efficiency, speed, reduce waste… And these improvements are rewarded in a number of ways, not least through the profit sharing, savings-sharing financial relationships between supplier and assembler, thus incentivising genuinely creative thinking not just vigilance. Suppliers are able to apply these incremental breakthroughs to other supplier contracts, hence improving profit across their business. When early American converts to lean production went on rare pilgrimages to Toyota back as early as the 1960s a common reaction was “oh my god, the DATA those guys have on productivity, it was mind blowing”. The lean manufacturing machine’s performance is obsessively measured. Information is not captured and kept hidden in a central “brain” (see the organism metaphor keeps suggesting itself), but is shared with everyone in real time. For instance, from the 80s display screens were placed on the assembly lines showing a status dashboard of information. Productivity data and analysis is shared with partners to help them make better judgements too. Of course there has to be central governance, but it is not total control as it is in Mass Production. Nor is it totally decentralised, like an ant-colony with all its parts pre-programmed to react in certain collective ways. It is a balance of central and decentral control and evolution. An economic consequence of the lean approach is that unlike mass production which treats human labour and supplier relationships as variable costs that can be adjusted to the cyclicality of the market, both are counter intuitively in the lean model fixed costs. Neither employees nor supplier partners are disposable in tougher market conditions. Instead the lean model can respond by dropping product prices, increasing cost competitiveness to protect sales volume, better than competitors can (for whom big inventories become a bigger issue). Lean producers can also shift to different car models faster than mass producers can, to respond to a surge in demand for smaller, more fuel efficient cars, for instance, or to bigger SUVs as has been the recent trend. When the book was published in 1990 Toyota was half the size of GM, then the world’s biggest company. Twenty years late Toyota became the biggest car company in the world. Although the story is a lot more complex since 1990, history has clearly shown lean manufacturing and the Toyota way to be world beating. According to my follow up research study with friends and acquaintances in manufacturing, which while less well funded than MIT’s seemed to reveal a reliably consistent story, the lean model is now the standard in all of major auto manufacturers globally, having been copied to various degrees of success by the US, European and Asian car companies. Hyundai for instance have systematically hired retired Toyota line managers to teach them the model. It is without doubt Japan’s single biggest contribution to the global industrial complex, and its principles are employed in numerous other manufacturing arenas where similar conditions prevail, namely high-unit volume combined with market demand for quality and durability. In the car industry there has not been a significant new “revolution” on top of lean manufacturing, (although the use of sophisticated robotics is certainly a significant evolution), and lean manufacturing has probably never been achieved to the same level of perfection (flawless cars shipped, symbiotic efficiency etc) outside Japan but there have been a host of other economic and global market factors that make the narrative more complex than the one leading up to 1990, e.g. consolidation among European car brands and sharing of platforms across brands, different emissions standards in Europe meaning Diesel engines have had a perhaps unfair advantage, the financing requirements to invest in emerging markets requiring consolidated purchasing power (e.g. the NISSAN RENAULT Alliance), and of course currency fluctuations, to name but a few. Today the pinnacle of lean manufacturing in terms of flawless models being shipped is apparently Lexus, Toyota’s luxury marque, models which are mostly manufactured in in Japan still. Is the iPhone the product of a lean manufacturing model? Chinese assembly plants have achieved economic leanness of cost through mean-minded cost control (not my words!) and punitive control on quality, but the symbiotic partnerships and empowerment of factory workers has not been replicated, indeed FoxConn employs suicide nets in its manufacturing facilities, but the relative short life, disposable nature of smartphones, as well as their electronic as opposed to mechanical guts mean that the comparison is harder to make. Despite the unstoppable march of electronic devices and accompanying dematerialisation of so much of our everyday lives, humankind still needs hardware. In fact the climate crisis we face requires an industrial phenomenon to solve it, and efficiently too. 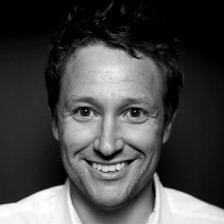 Whether it is wind turbines, nuclear reactors, solar panels and batteries, and more than likely a combination of the above and some new stuff to boot, we are going to have to scale up production of zero-carbon generation hardware like never before while finding a learning curve to drive costs and energy inputs down at the same time. Efficiency will one hopes become even more incentivised across manufacturing as a whole, so it is quite possible that lean manufacturing’s biggest contribution is yet to come. On a more conceptual level, the way the lean manufacturing approach coupled the potential of machines and humans to mutually empower them may point the way to the next industrial revolution. On losing to Deep Blue the chess grand master and one would assume handy problem-solver Garry Kasparov established a chess league of what he called “The Centaurs” – a chess master combined with a chess AI, since he realised that the AI’s advantage lay in being able to access more game experience data than his brain could alone during play. The “Centaur” type hybrid chess masters of course trump any human or AI separately and represent just one example of how humans augment with AI, or vice versa, are becoming the new standard. But as the lean manufacturing story tells us humans have been amplifying the performance of mass machines for at least 50 years, and the co-evolution of technology and humans may be what defines us as a species since our origin as the tool-manipulating ape. In academia today there is a burgeoning new arena of AI used as part of researchers’ armoury – drug developers use evolutionary simulations to develop original molecules for instance that might have medical capplication. And of course in everyday life with Google’s AI in our pockets we have already, on the quiet become the AI-augmented species. I have little doubt that industry is going to go the same way, and not least in Japan. Japan biggest R&D spenders, all of them mass / large scale manufacturers, listed AI as one of the most important areas of research and one of the reasons for onshoring more of their R&D budgets, where the onus will be on the human partner to be creative and inventive.